The Alliance of YA Authors is a community of over 1000 young adult writers. Many of us are award-winning, bestselling authors. Others are brilliant debut authors just starting out. I’m honored to have helped the group gather dozens of thrilling stories from all of your favorite genres. We’ve put them together into an epic anthology of young adult fiction. Some of them are just the beginning of a unique adventure, while others are complete stories that will spark your imagination. 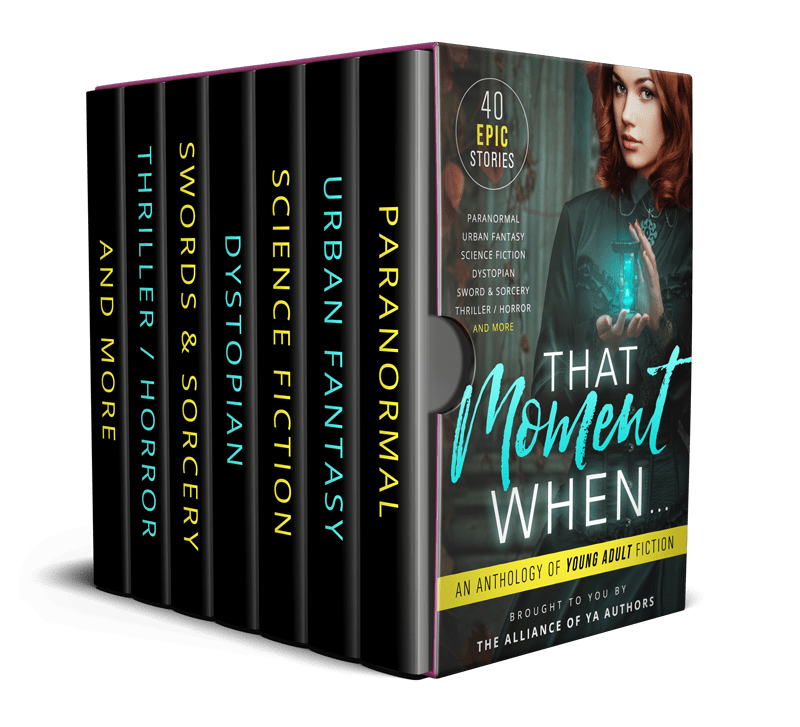 You’ll find Chapter 1 of my not-yet-published YA Fantasy inside this anthology. My newsletter subscribers voted and chose this book as the one they wanted me to write next – based just on Chapter 1. I invite you to check out That Moment When. It’s available for free download on all platforms and features some of today’s hottest new talent in young adult fiction. Have you ever reached a moment in your life when everything changed? A crossroads of sorts? A point of no return? An event or realization so enormous you knew it would impact you forever in ways you couldn’t begin to understand? Discoveries so momentous they changed everything you thought you knew about the world, and yourself? Which character would you want Bryant Wood to play? No problem! Here’s the iBooks link again. It’s free on iBooks too. Hi Sharon, sorry to hear that. I’m working on getting the editor of the collection to offer the anthology on Google Play and/or allow me to gift you a copy directly, but so far no luck. I’ll keep trying! Hi Jamie, I too am unable to download the book, could you please also send it to my e-mail address. Which format did you need the book to be in?